Time for the ol’ reveal! In the previous post, I showed you how the ClosetMaid shelving and drawers were coming together. The old shelves were removed, the walls were painted, and it was time for installation. And here she is. I picked up the coral and blue colors in her bedding so it would remain cohesive. It turned out exactly like I wanted it to. I get along very well with drawers, cubbies, and shelves. Swoon. While it’s not the easiest space to photograph, I was able to catch some details of the space. I imagine this shoe shelf will fill up as she gets older, but for now it houses her slipper collection and boxes for all her little trinkets. 10-year olds and their trinkets. Good. Ness. The upper bars are still too tall for her, so I put her little stool in a cubby to easily pull out. We had a niiice long talk about how she is not to yank on the hangers to get her clothes down. We’ll see how that works out. I’ll be back another time to show some of the organized innards., and you should know that I didn’t just find all these coral and blue accessories (I wish!). I had to make some alterations to suit our needs. Until then, let’s just pretend that it’s always going to look like this. There’s nothing I love more than an organized closet. Sometimes there is chaos in my home, but my closets are always organized. 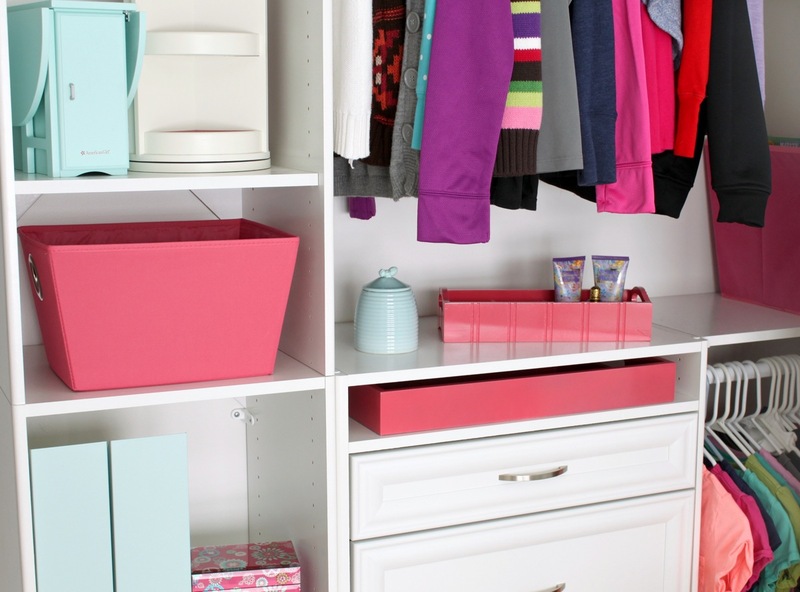 I love the coral and blue accessories in the closet. Looks so pretty. Agreed. An organized closet definitely soothes the soul, doesn’t it? My only girl (after 4 boys!) is also 10, and we have been struggling to come to terms with a system that works for both of us. 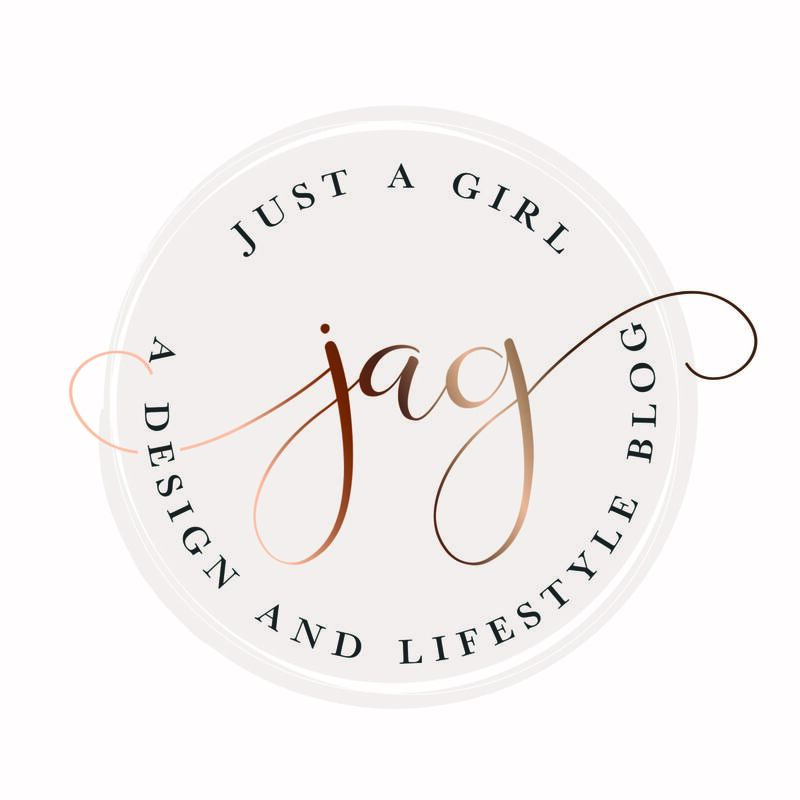 I hope you will share where some of the cute accessories on the shelves come from. 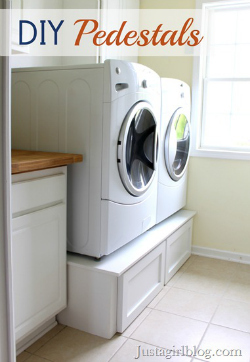 She loved this closet when I showed it to her, and I am hoping together we can make it work! 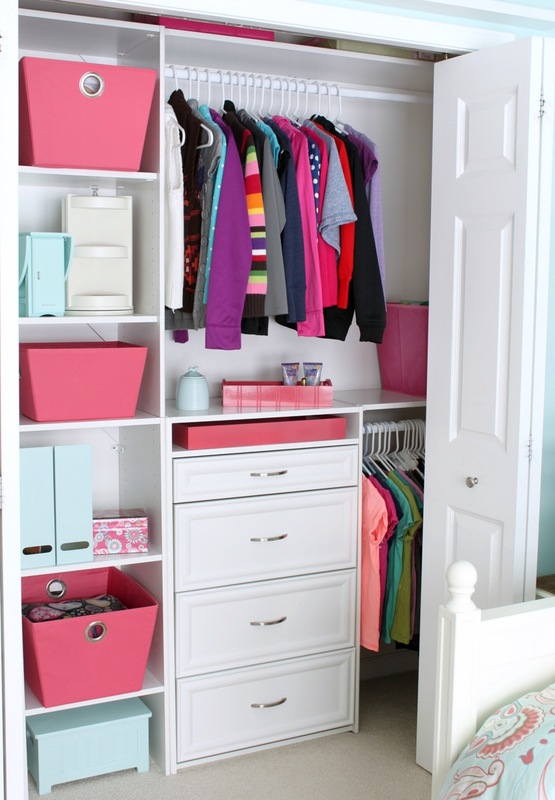 Great job, starting with a fantastic closet system! Love it! 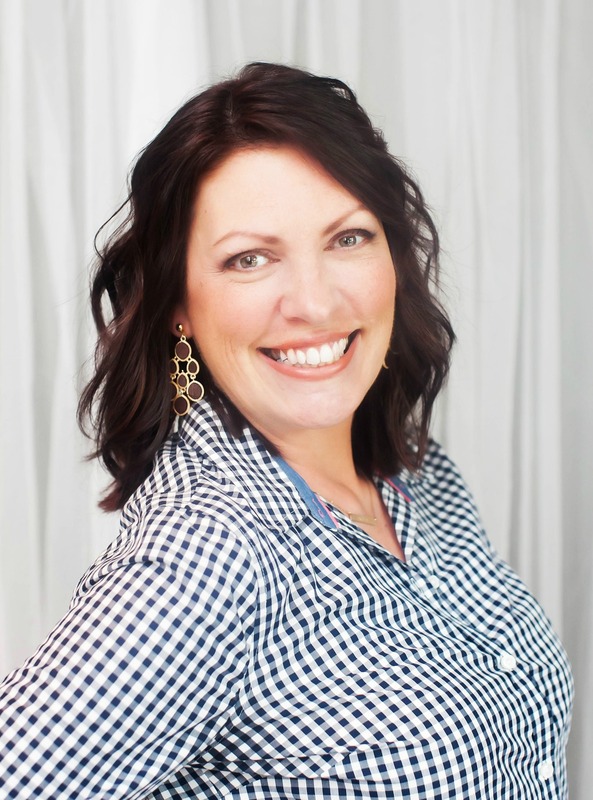 Recently, some of the bloggers have shown us their “before” closets and I was freakin’! Stuff piled on the floor like crazy—ahhh–how do people live like that???? 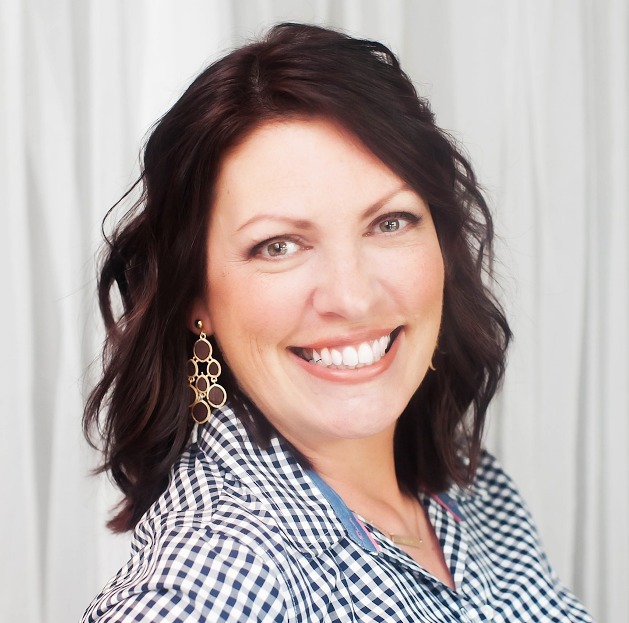 I am not perfect photo closet mama (like pictured above) but some organization (and cleanliness) is a really good thing. How did you get the colors to go so well with your Serena and Lily (????) bedspread–wowzer! Great work and trinket containers are such a necessity!!! This is beautiful! Great job on the closet and the room in general. The color scheme is gorgeous. Thanks so much, Gina! We’re pretty happy with it. Oh that looks fantastic! 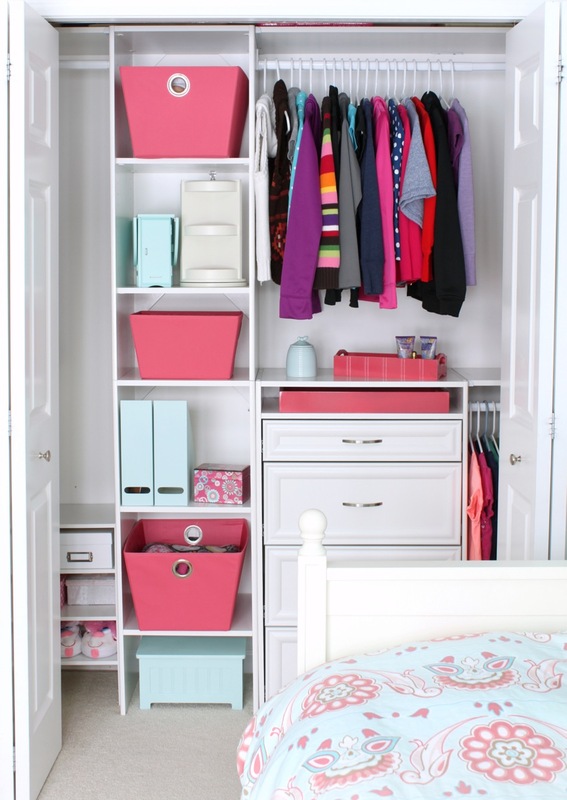 So cute and girly and organized. I need to get a closet like this asap. 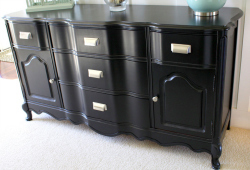 And try to convince my husband he would need something like this for his side, too. Don’t know if he would go for that, though. I’ll bet you’d be surprised! He’d probably love it. Good luck! Love it! My closet needs something like that VERY badly! Whoa – that puts my closets to shame! Beautiful… and how in the world is your daughter’s room not overflowing in STUFF? Especially after Christmas – oh my Lord! Love the closet! Just wondering, where did you get the comforter? A whole room redo! I’ve been asking for the wrong things for Christmas. 🙂 Lucky girl! Can’t wait to see it. This is beautiful! Would love to see a follow up showing what is in each bin and drawer… Or what types of things… I always have a hard time figuring out what sizes and shapes of containers we need for all of my 7 yo daughter’s stuff and how each bin or drawer will be used efficiently and easily without being confusing for her. It is a little tricky. I’ll be writing a post next week on it, Ann. I think it’s all the little things that can be the most difficult to store! Thank you! 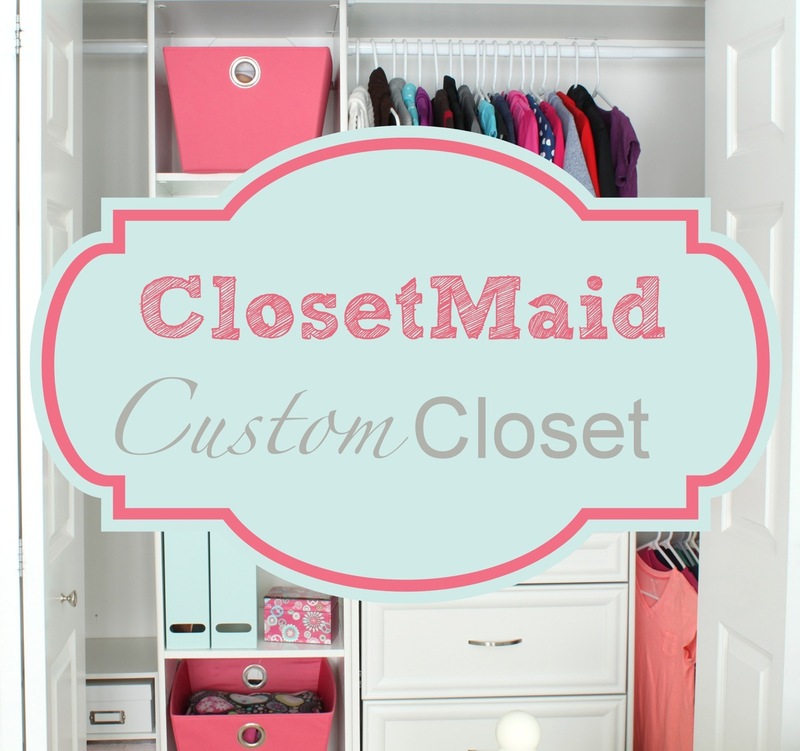 If you desire to do another closet, your mother wants you to put my name on your list! I absolutley LOVE it!!! The colors are perfect and the size. She puts shirts and pants in the drawers, and room left for the rod thinges… Olivia and Jackson sure are lucky to have such neat parents. Isn’t it amazing how Olivia is getting sort of grown up? Cute huh? Oh it is just gorgeous and I love the colors!! This is sooooooooooooo cute!! Love the colours. Well done.